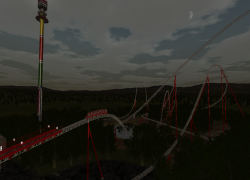 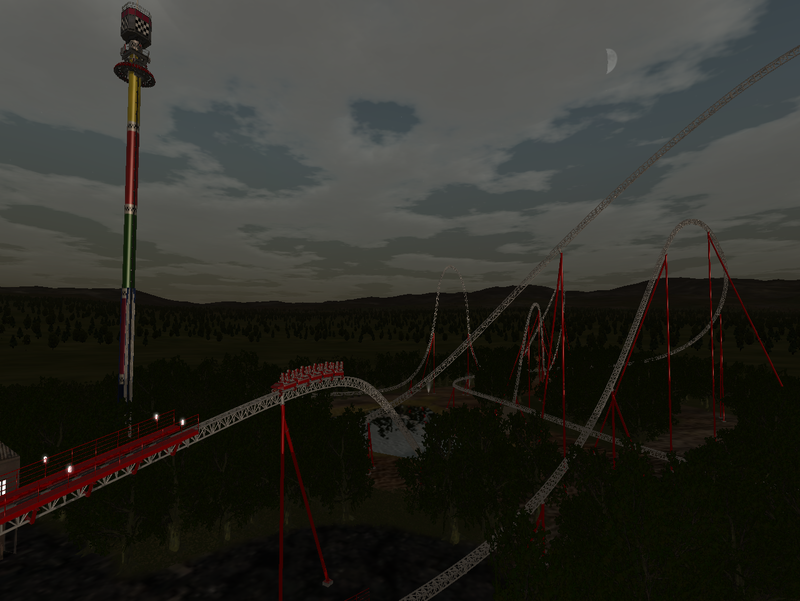 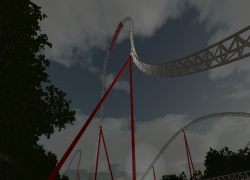 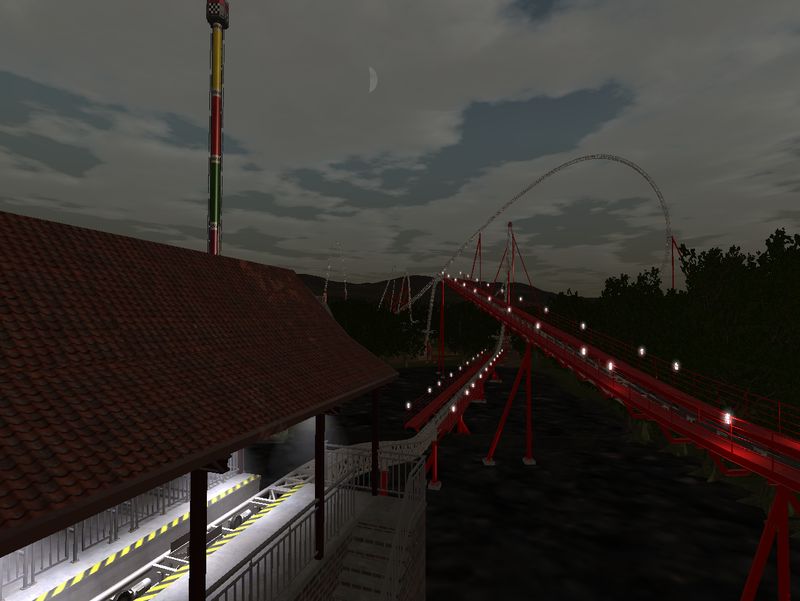 This is NRG, a high intensity roller coaster loosely themed to racing Ferraris. 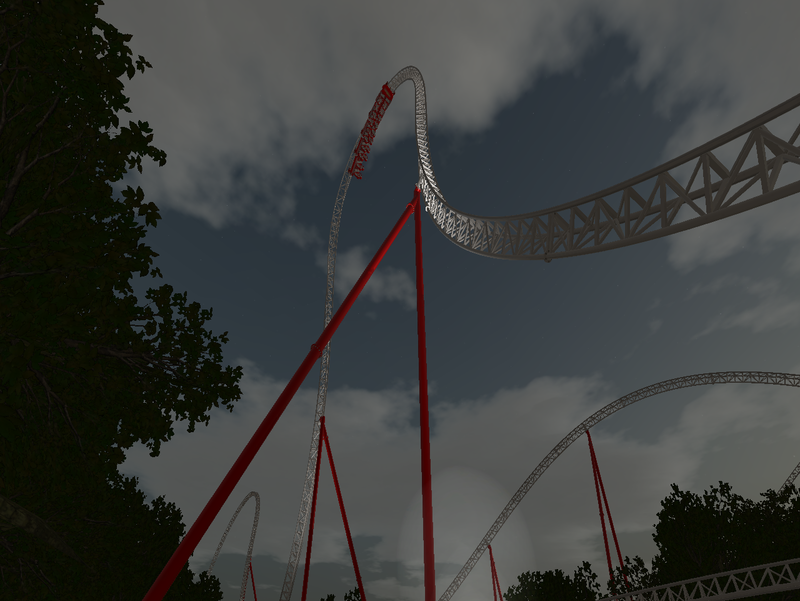 Once you are strapped into the racing-style restraints, you dip down and wait. 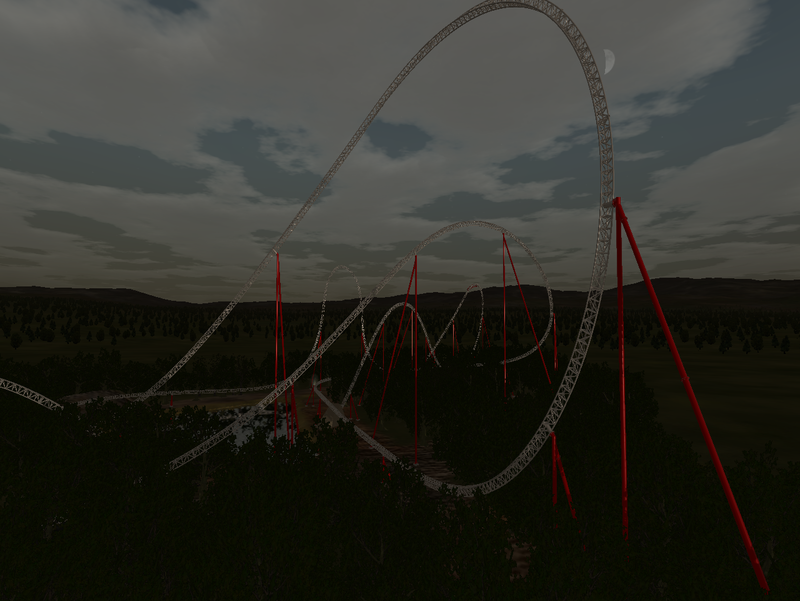 Then you gun it as you fly down the launch strip, and into a huge turn. 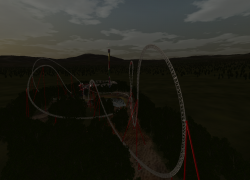 Then you soar into a Immelmann, and then into a curve, followed by a weird, twisty, top hat thing. 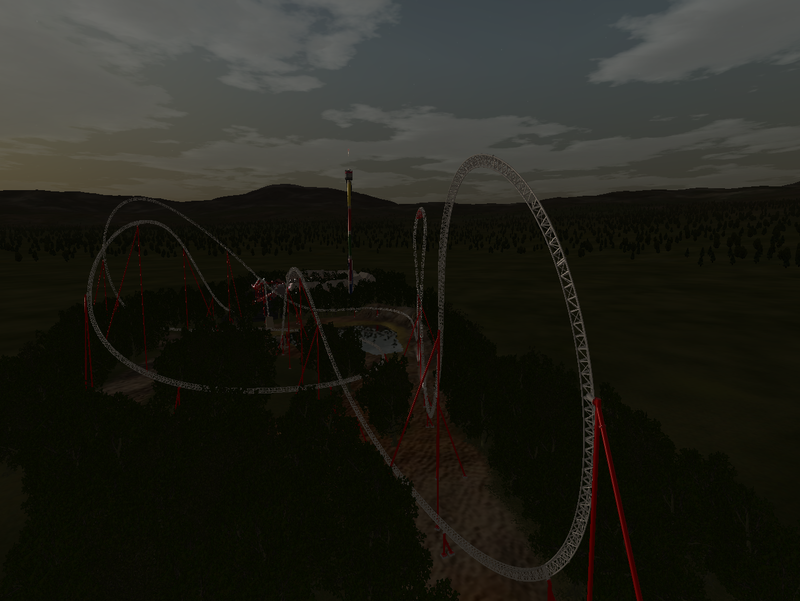 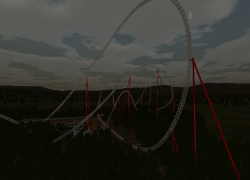 Then, after a dive loop, you are thrown into some airtime hills, and then you slam the brakes. 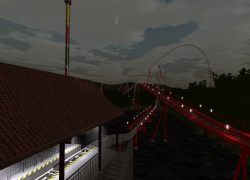 And did I forget to mention that one of the trains run backwards?